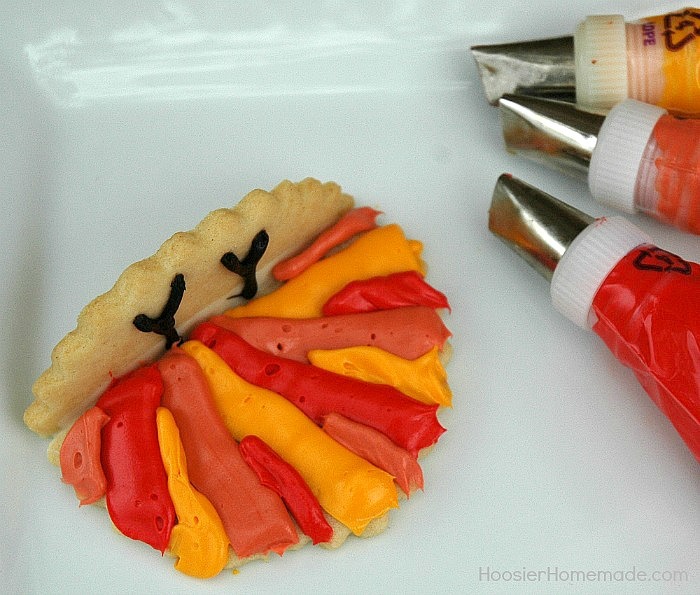 Grab the kids because it’s time to decorate these adorable Thanksgiving Turkey Cookies! 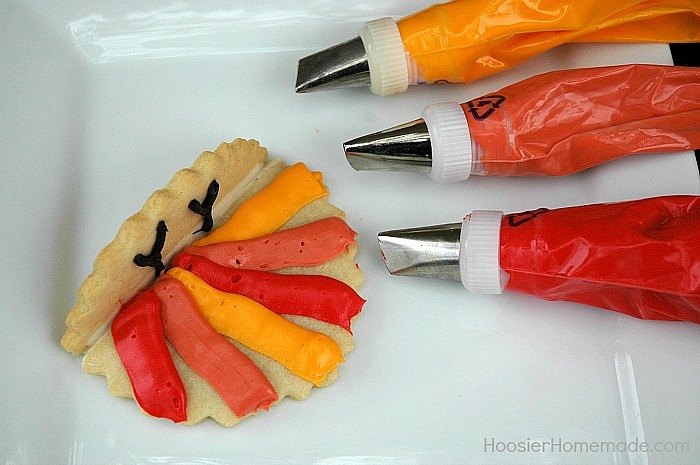 They are easy to create too! You can use them on your dessert table or as place setting for your Thanksgiving Table! Cut a small amount off the small peanut butter cup. I found a serrated knife worked best. 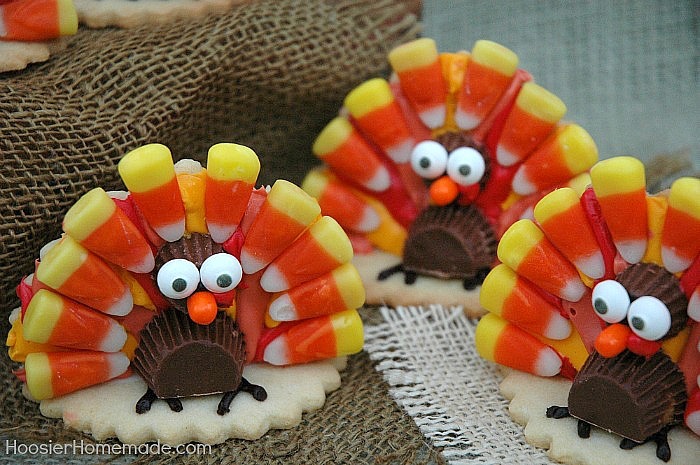 Now it’s time for the candy corn. And you are done. 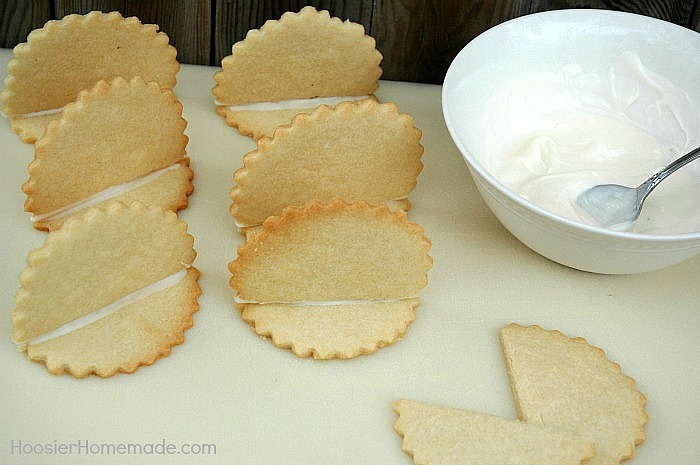 The hint flavor of almond extract is great in these easy to make sugar cookies. Add egg and extracts, mix well. Gradually add the flour mixture and beat until well combined. Bake at 350 degrees for about 10 minutes, if you like a soft sugar cookie, bake a little shorter, if you like a crisp cookie, bake a little longer. This is a great recipe. 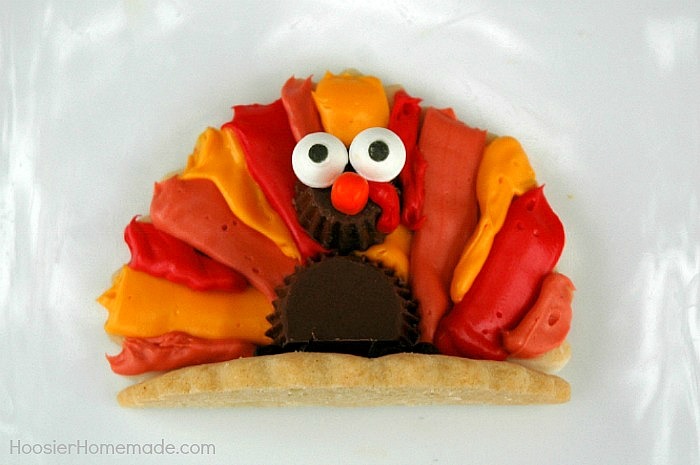 I’m looking forward to making them again this Thanksgiving. 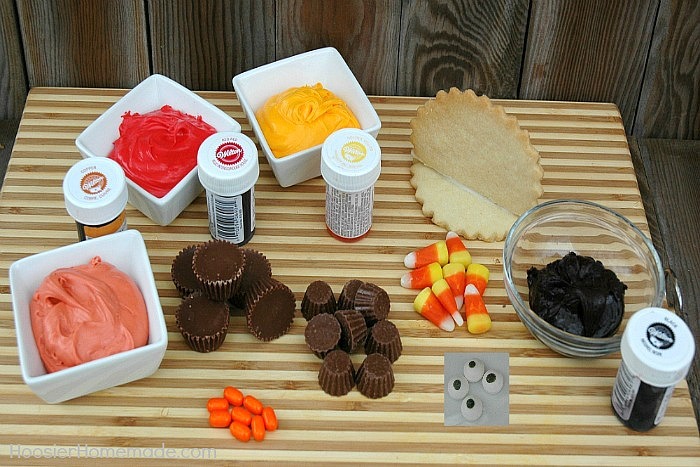 I leave off the candy corn because some people don’t like it and the multicolored icing is beautiful. How can I make the frosting flavors????? Please gime me the recipe, thanks. 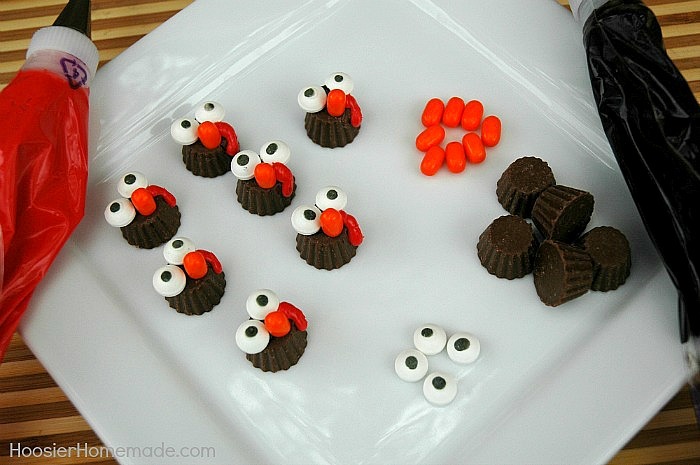 What “sweet” turkeys … and so colorful too! WOW those are adorable. I do NOT have enough patience to make something like that though LOL. I’d lose my mind. You’re so creative though!!! So excited you like the Turkey Cookies!Thanks for stopping by! These are so fun!! Kids would love these! Thanks for stopping by, Jessica! 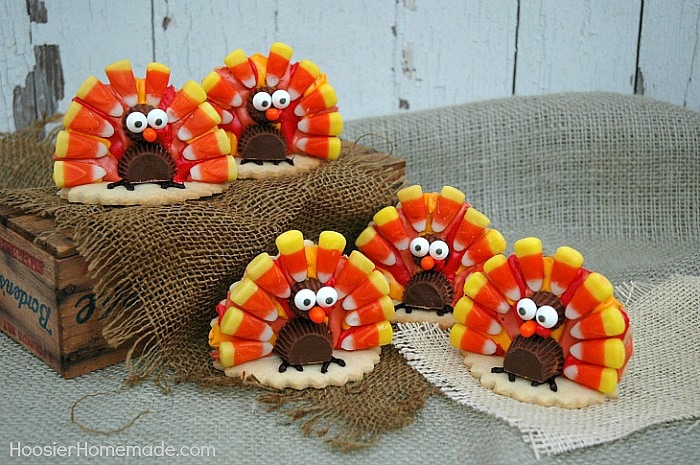 Thrilled you like the Turkey Cookies! Thanks Sue! 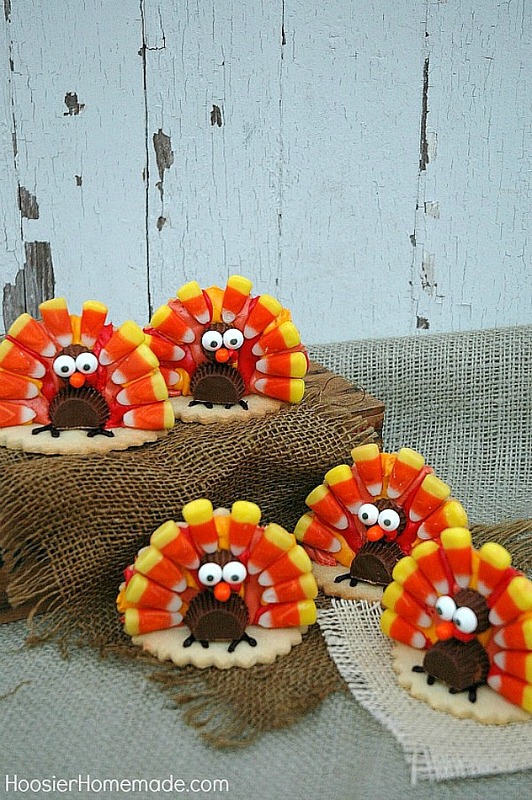 The Turkey Cookies were fun to make!